The SAG Awards Blog: More Presenters! 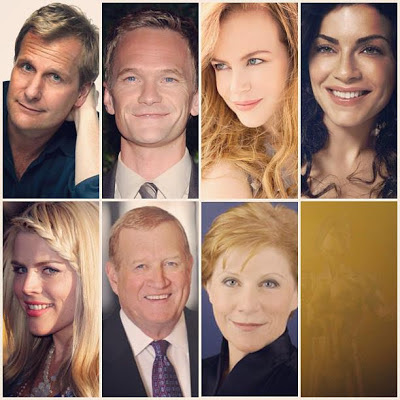 Jeff Daniels, Neil Patrick Harris, Nicole Kidman, Julianna Margulies, Busy Philipps and SAG-AFTRA Co-Presidents Ken Howard and Roberta Reardon will be presenting the honorees at the 19th Annual Screen Actors Guild Awards. 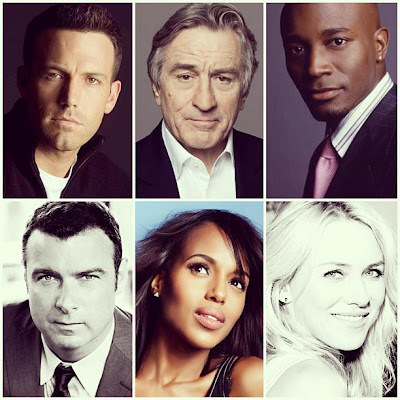 Also presenting at the SAG Awards are Ben Affleck, Robert De Niro, Taye Diggs, Liev Schreiber, Kerry Washington and Naomi Watts.